If you’re good at driving, it’s good choice to reduce moving time and enjoy free tour. But, it’s risky to the first time driving in Korea because there are many rental cars by Korean and bad driving habits by local residences. 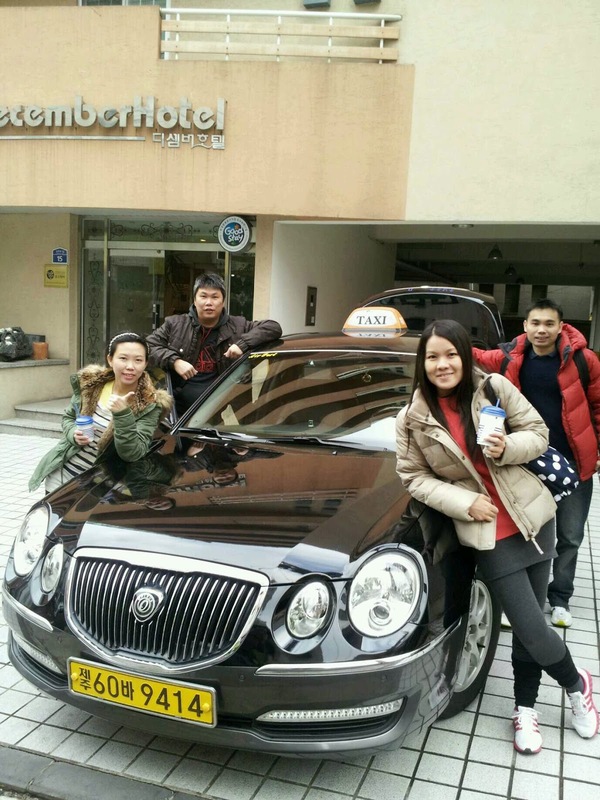 Especially driver's seat is left, opposite position of Japan, Hongkong, Indonesia and U.K.
You can rent a kind English-speaking taxi tour driver with 15~20 USD per hour. Jeju was very famous of Korean honeymoon tour in the past. So there are still senior taxi drivers for tour guide per day. Most of tourists choosing this are satisfied in general. There are many public bus lines to connect various tour spots. My house is nearby Bus terminal and bus stops for both city and inter-city. Also public tour buses are operated too. 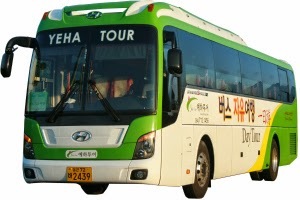 If you enjoy slow tour experience, we can guide bus lines in detail alone your tour path. If you want to use public bus lines, I'll guide to timing and tour stops. Recently the group tour by local tour companies are suitable for Chinese group tourists. 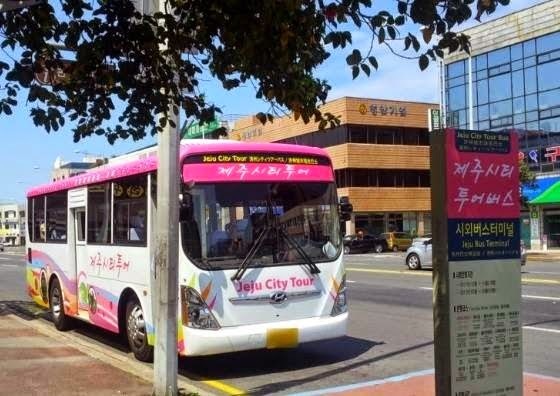 Most of Korean are changing from group tour to private free tour. But, there is some recommended tour route of high quality for foreigners to western, eastern and udo courses. 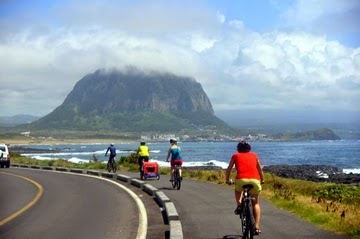 Outside of Jeju City and Seogwipo, biking is common. In fact, there is a continuous bike lane on both sides of Highway 12. Cycling the entire 182km (113 miles) will take about 3 to 5 days, depending on your skill level. Some shore roads also have bike lanes, but many of them aren’t continuous and are inconvenient. Anyway, you can make a tour schedule as like choosing one day for taxi or rent, choosing one day with bus.